Vegans are smart. Their inventiveness knows no bounds. With a little brainpower and without using animal products, these herbivores have found a way to enjoy the same foods as everyone else. They aren’t excluded from indulging in the delicious; they have their cake and eat it too, they just make sure their cake doesn’t contain any eggs or dairy. While popular desserts tend to rely on eggs, milk or butter for decadence, vegans continue to mastermind cunning hacks that allow them to enjoy the same great tastes as the rest of the world. See the brilliant vegan equations below — whether you’re a carnivore or strictly stick to plants, you’re sure to appreciate the science that went into imagining these recipes. Respect. Vegans have found a way to enjoy a hearty breakfast staple — the omelet — despite the fact that eggs are not included in their diets. Chickpea flour is a great substitute because, like eggs, it’s high in protein and is gluten-free. Its subtle flavor means it can be paired with just about anything. 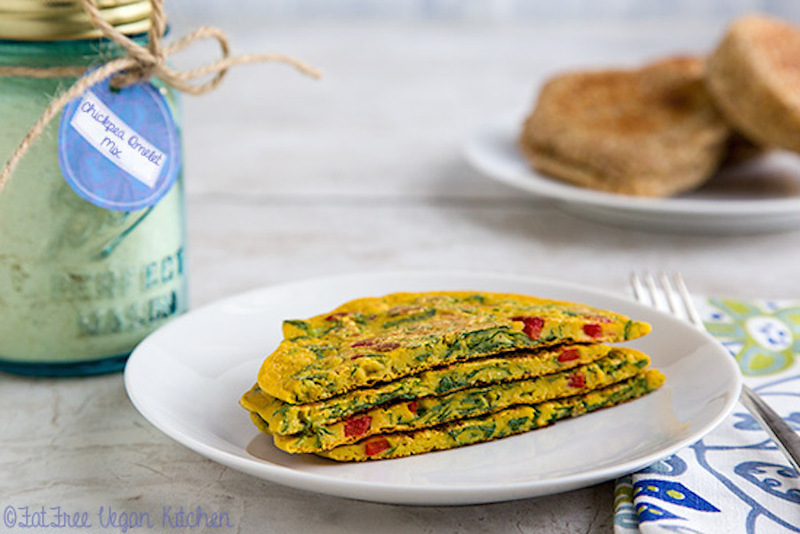 Start out with this simple Chickpea Flour Omelet recipe by Fat Free Vegan. Many boxed cake mixes are vegan on their own (just check the ingredient list), but lose the title when eggs or butter are added in. Vegans don’t have to make their desserts from scratch (though they certainly could — delicious ones at that!). Vegans and lazy people alike can skip the ingredients listed on the cake box and opt to use a carbonated beverage instead. The two ingredient cake is lower in calories, fat and is exquisitely simple to prepare. Check out all the cakes you can make with just a box of cake mix and a bottle of soda here. Ice cream is fantastic and should be consumed year-round. Vegans are not excused from this rule. There are plenty of dairy alternatives to make the cool treat happen for any diet, but bananas take the cake when it comes to making ice cream in a snap. Plus, the method saves overripe bananas from being tossed in the trash. When a banana’s gone mushy, peel it and store it in your freezer. When you’ve accumulated enough, you have pretty much everything you need to make the delicious banana soft serve: Just blend, and voila! 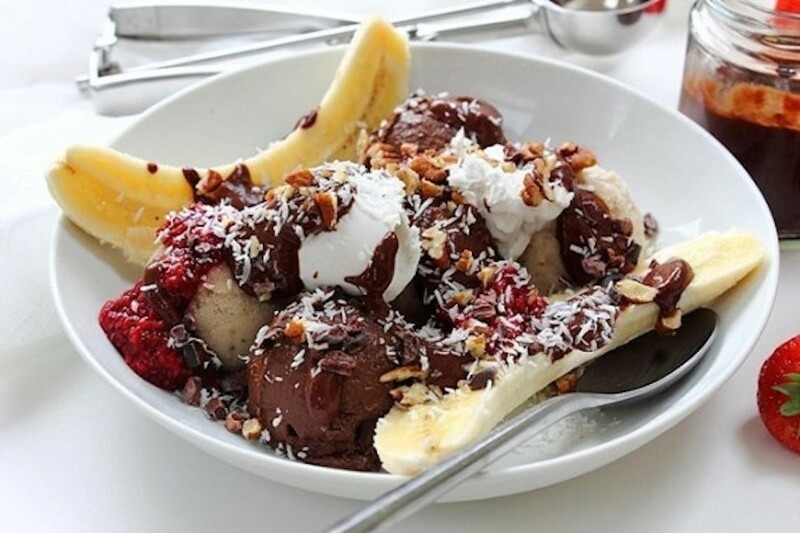 Check out this handy guide to making vegan ice cream, and if you’re drooling over the banana split pictured, get the recipe from Peachy Palate here. Same story here, folks. Canned pumpkin (or pumpkin puree) can be used as a substitute for typical baking ingredients like eggs and butter. It supplies a moistness to recipes without altering the flavor much. Plus, it boasts a nice amount of fiber. Genius. 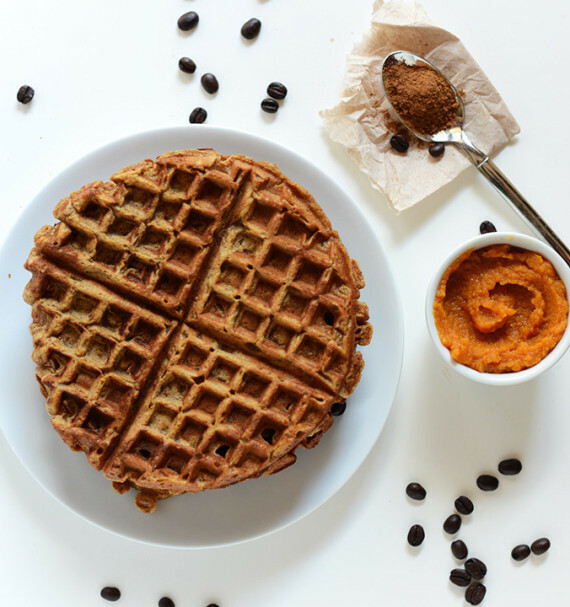 Get the recipe for these Pumpkin Spice Latte Waffles from Minimalist Baker here. And, be sure to check out all the things you can make with a can of pureed pumpkin (not all are vegan, but you can tweak to make them so). Like pumpkin, avocado adds a creaminess to recipes without stealing the flavor show. And its nutritional benefit is stellar. Vegans have gotten particularly inventive with avocado, transforming the typically savory ingredient into a dessert superstar. 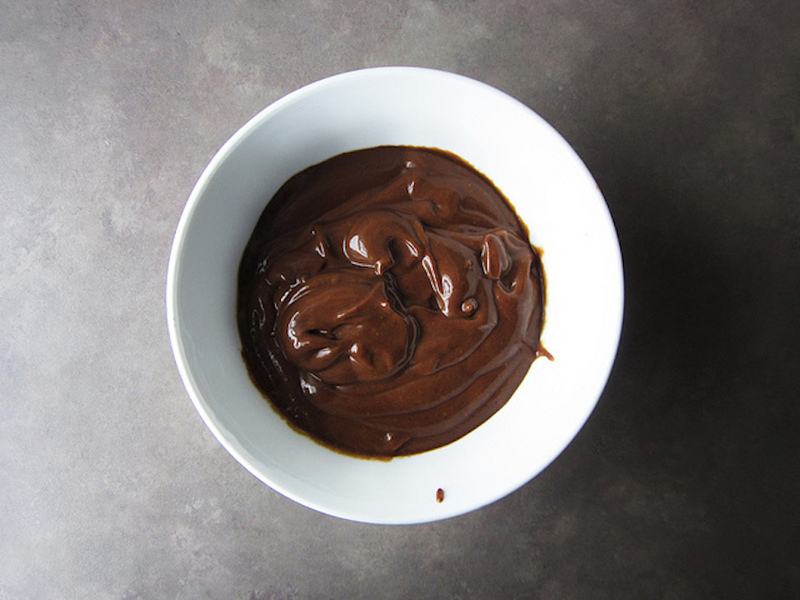 Just contemplate the Chocolate Avocado Pudding pictured (get the recipe here) and try not to salivate. Find more clever ways to cook and bake with avocado here. 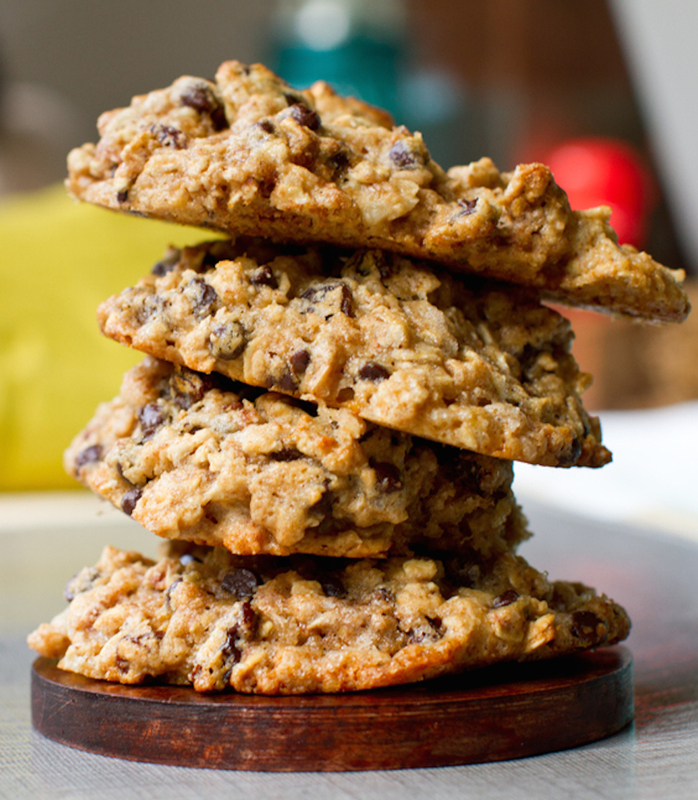 Get the recipe for the Vegan Chocolate Chip Oatmeal Trail cookies pictured from Healthy, Happy Life here. Vegan bacon may sound like an oxymoron, but replicating the popular flavor of the pig product without using any actual pig is possible. 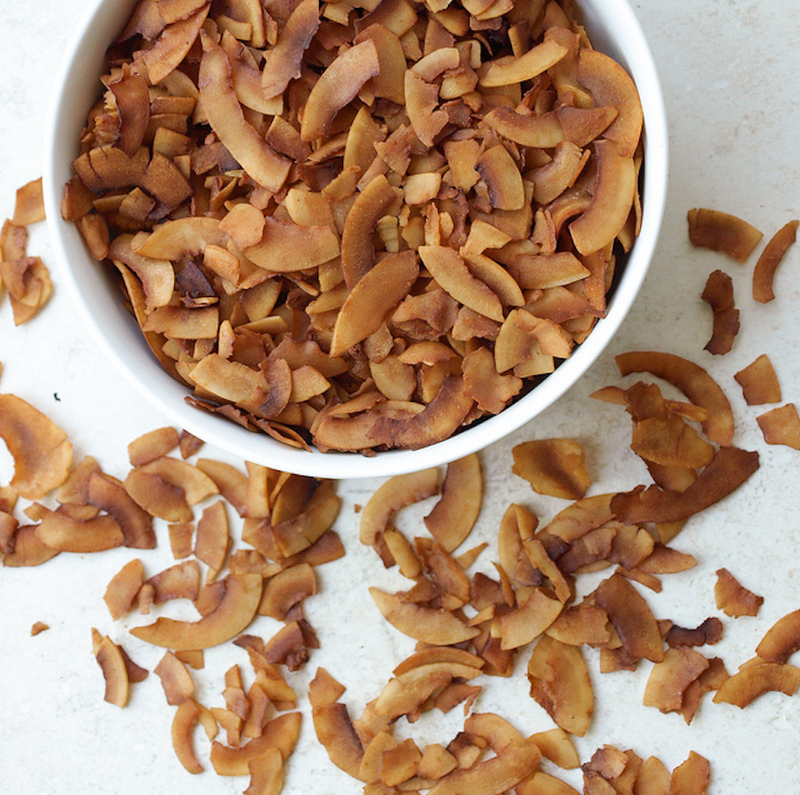 “It’s pretty amazing that you can replicate a baconish flavor and crispness with coconut flakes,” write The Simple Veganista. Yeah, it is pretty incredible. Find the recipe here. There are plenty of weird vegan products on the market, from scallops to “leather” skirts. 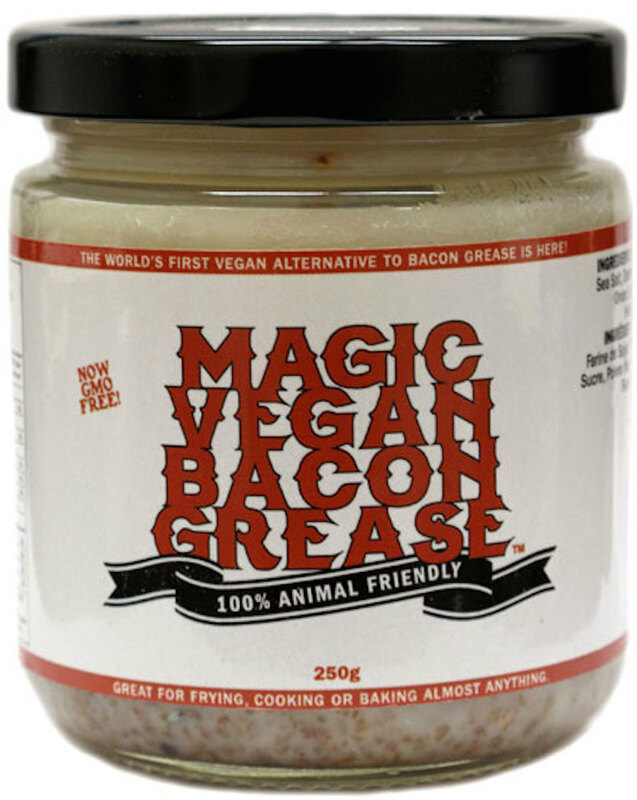 Magic Vegan Bacon Grease (MVBG) is as weird as it is impressive. The stuff is made of coconut oil, non-GMO soy protein, sea salt, pure maple syrup, black pepper, onion, garlic, Torula yeast, and natural smoke flavor, and it lets vegans have their bacon grease and eat it, too. Some argue certain recipes are just better cooked in bacon fat, and this product invites herbivores to join in on the taste experience. Get more information about MVBG by visiting the product website here. Vegan “hacks” tend to make things a little bit more nutritionally sound, but “healthy” isn’t a requirement for a food to be vegan. It is both surprising and delightful to find out that Oreos, the quintessential lunchbox cookie, are in fact vegan. Nabisco probably didn’t intentionally craft these cookies as cruelty-free, but that doesn’t really matter. 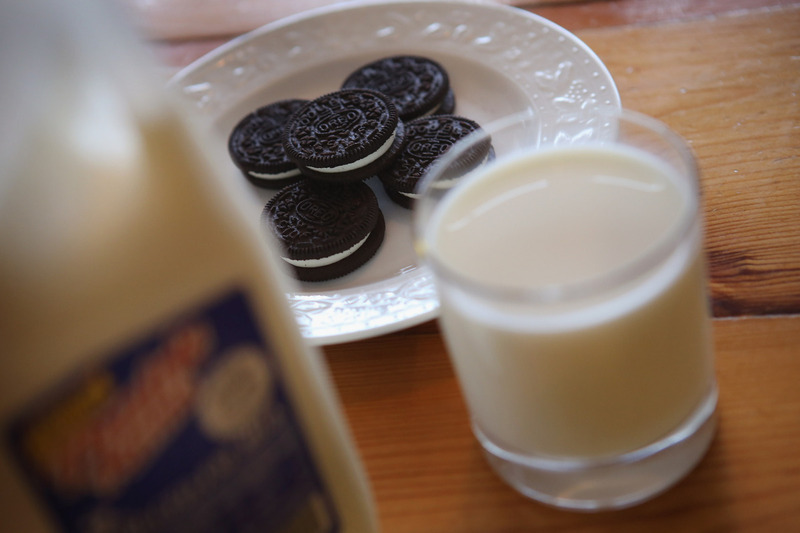 Dunked delicately into some dairy-free milk, the perfect vegan treat is born.